I’ve texted probably ten matches with no response.....is there something wrong with the app or are all the guys just douches?? If it’s the latter, don’t bother getting the app if you’re not actually going to follow through!!! Can we get GIFs in the chat? It’s so stupid as to how I have to wait for twenty four hours every time I sent a note out in order to get another note, and that I can only have one note at a time!! That is retarded!!! Such a cash grab method!!!! Also, all of the girls on here are so easily turned off by a guy who is not skinny!!! 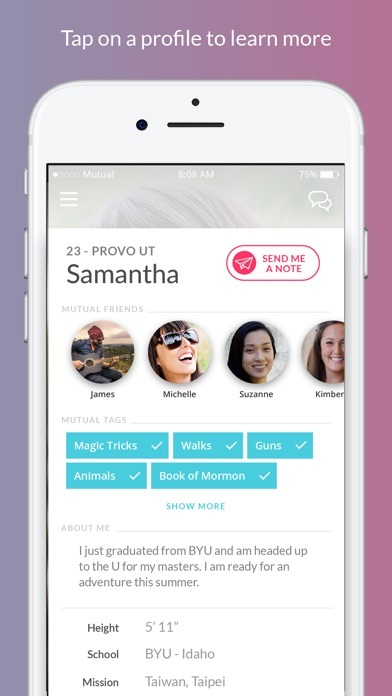 I was hoping to find girls on here who wouldn’t care about how the opposite gender looks, just like how a the Lord has asked his Latter-Day Saints (LDS) to be like in all areas of love, including this!!!! 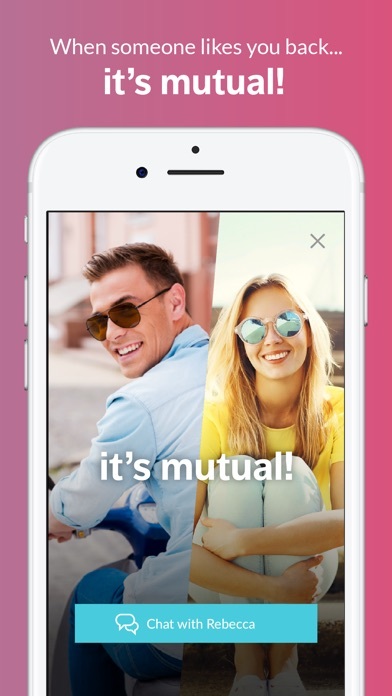 As much as I told myself I would never download a dating app, I've actually been really impressed by Mutual. 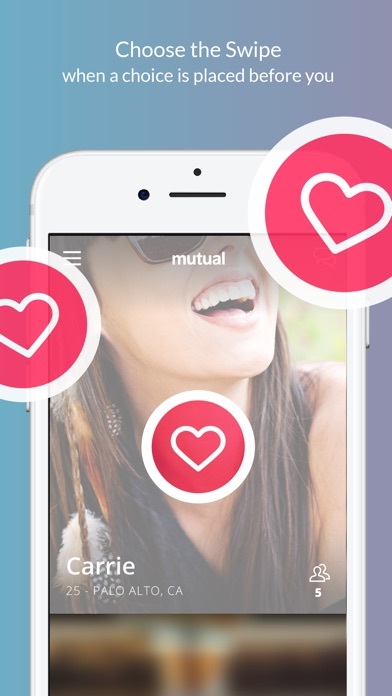 The app is incredibly intuitive to use and I've been (mostly) pleasantly surprised at the wholesomeness of the people whose profiles I've seen. 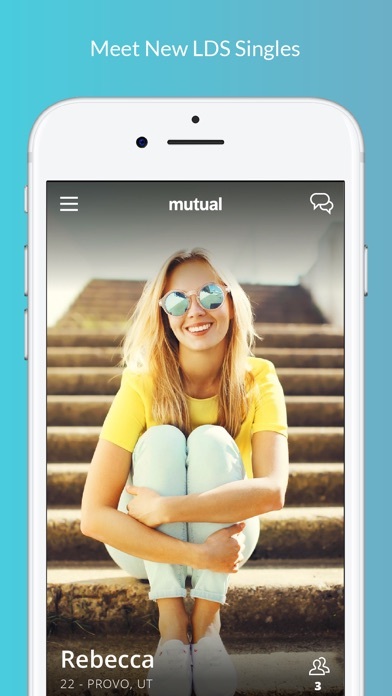 I'm at BYU Provo so it's probably a bit easier to use here, but I think it's a great app regardless of location.